We did it! It was the busiest summer ever but we managed to change the exterior of the house enough to where i actually think it looks good now! Cars slow down and look at it! Neighbors have commented on how nice it looks! It's come a long way. One of my neighbors loved how the house looked so much that she wanted to show us how far it had come in the past 70 years. She's a realtor and was able to find the FIRST photo of our little house when it was built. I love it. 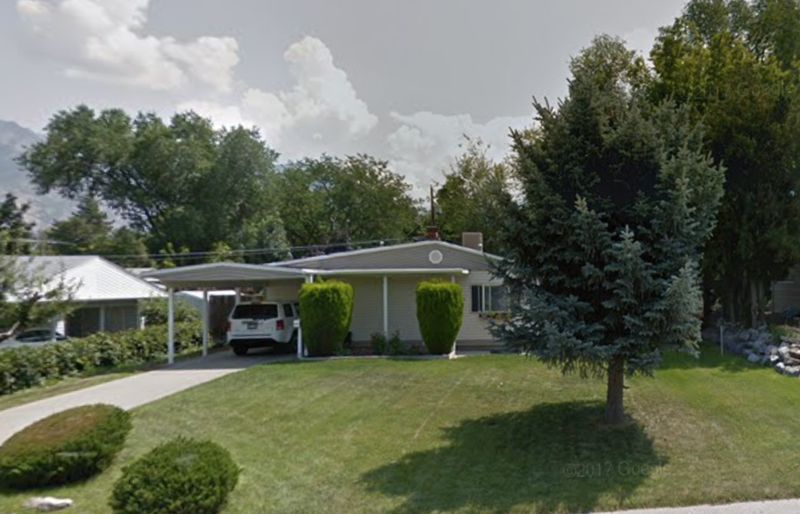 Clearly the two bushes are hideous and the teal door (WHY) made the house seem more yellow than it really is. I cut one of the bushes down and that made a HUGE difference. You could actually see the house now! The door became the focal point and thats when i decided that i had to invest in a new one. At this point i was deciding between these three doors. I absolutely love the door i ended up choosing! It made the biggest difference in the curb appeal. I posted tons of details about it here. Let's get to how it looks now after a few more improvements! 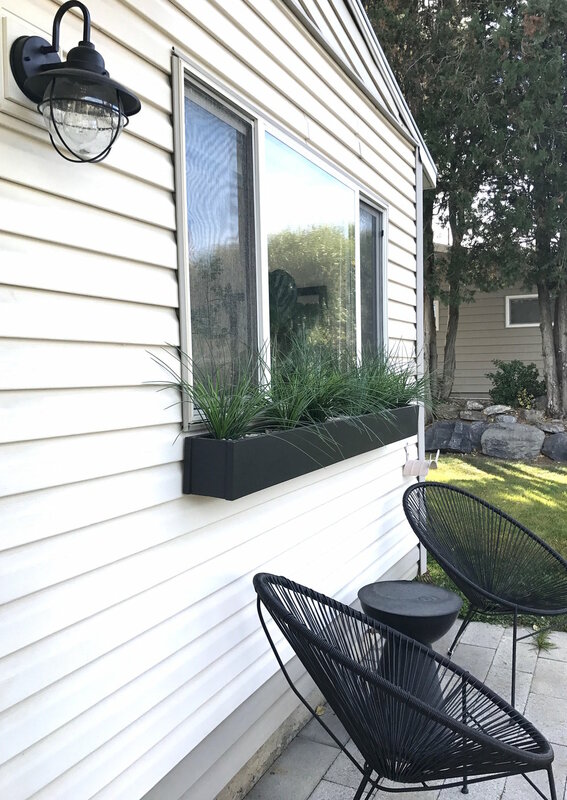 My dad custom made the window box and it made the biggest difference! It's the exact same size as the strip of glass in the door. It creates a cool & unexpected balance! The plants in the box are fake but i think they look pretty good! No plant has been able to survive the harsh afternoon sunlight in that spot. I'm pretty happy with everything! The high contrast charcoal paint color really helped modernize the house. I think the entire exterior update from start to finish cost about $1300. That includes the door, doorknob, paint, mexican beach pebbles, mailbox, and the house numbers. Not too bad right?! Next summer my goal is to DIY a modern horizontal-slat fence! We'll see! What do you guys think of the before & after?